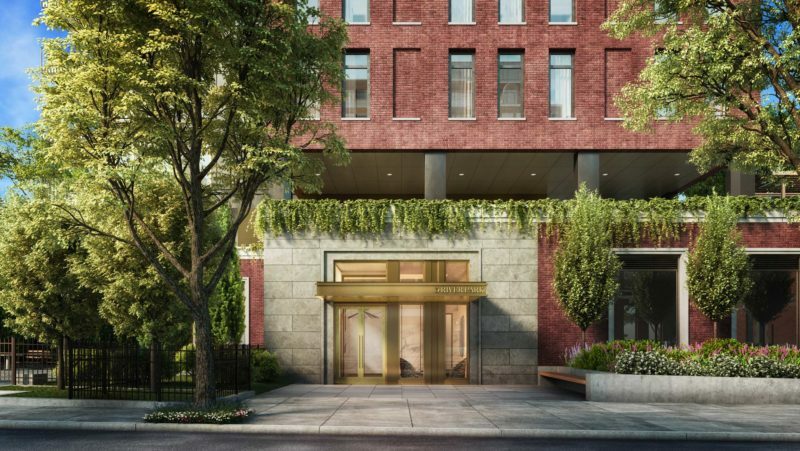 Celebrated for his private home commissions architect Douglas Romines has a particular affinity for the landmarked Cobble Hill townhouse locale that surrounds 5 River Park. 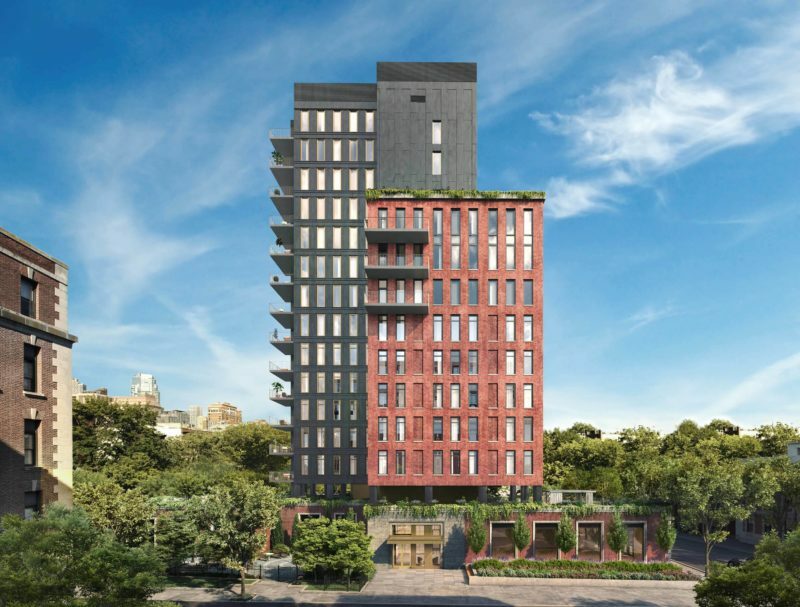 The elegantly proportioned 16-story building echoes the neighborhood materiality with a classic juxtaposition of iconic red brick and limestone base and window frames. Detailed in limestone and brass, the arrival is surrounded by abundant colorful landscaping. 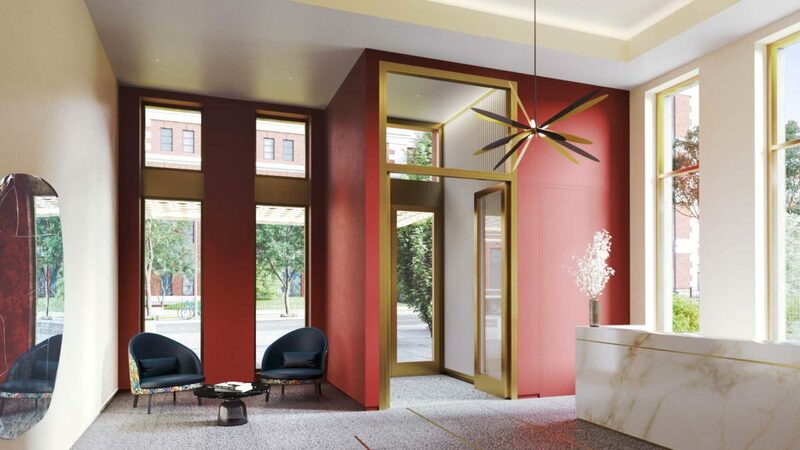 A full-time concierge welcomes residences and guests into the elegant stone and brass detailed lobby. 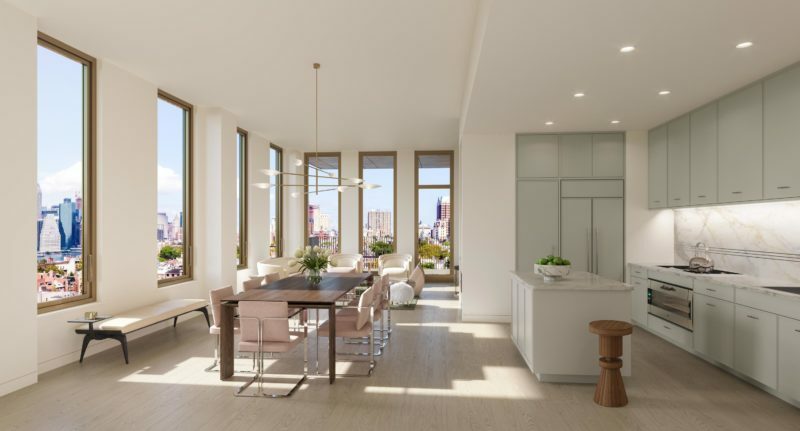 The thoughtfully composed collection of 25 graciously scaled one to four-bedroom residences feature oversized picture windows, Gaggenau appointed kitchens, and five-fixture marble master baths. Over 20,000 square-feet of diversions to discover. 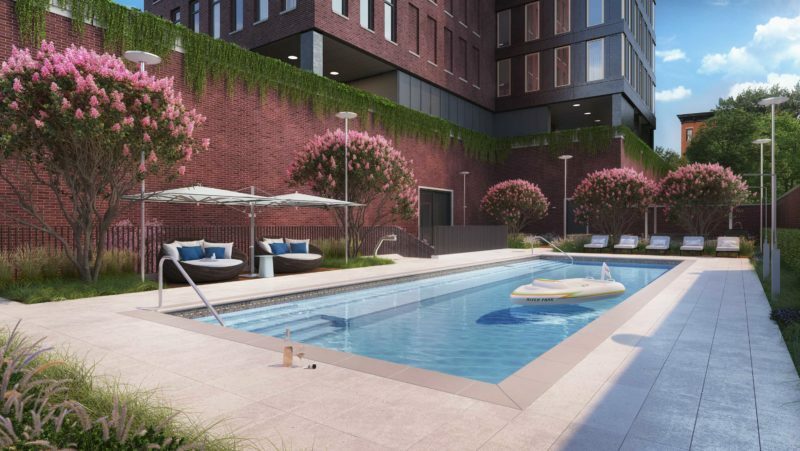 The three-levels of amenities include a landscaped pool deck with an adjacent outdoor dining area, a resident’s spa, and indoor and outdoor playrooms.